Let's take a time capsule back to the heyday of Elks- Wyandot, and have a look at the course. A good place to start is with the scorecard. The yardage of 6393 was pretty typical for courses of an era where the best drives of top professionals were 240-250 yards. The par 4s were particularly challenging. The scorecard shows six par 4s over 400 yards, and 10 over 385. The par 5s (only three of them on this par 71 layout) were on the short side. It appears that the women played from the same tees as the men although the ladies were allocated a par of 78 strokes. 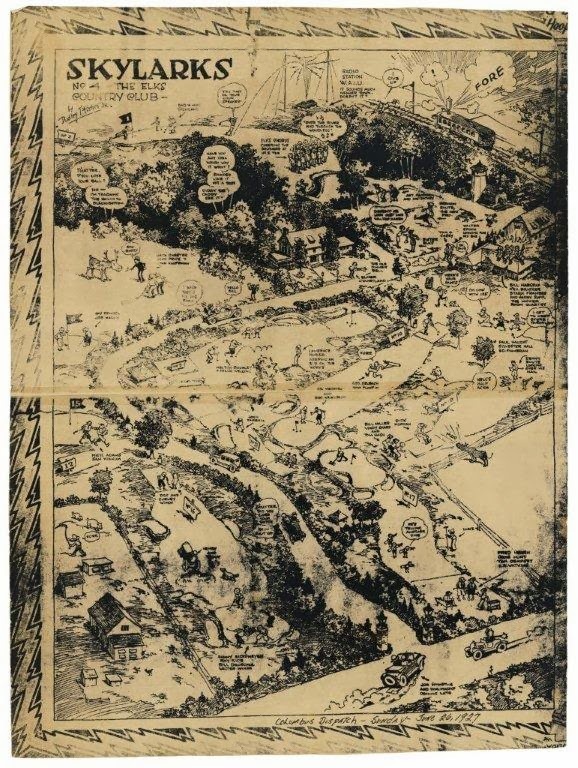 The course map below from the 1948 Columbus Invitational was published after the two nines were reversed sometime after the Wyandot Country Club came into existence. 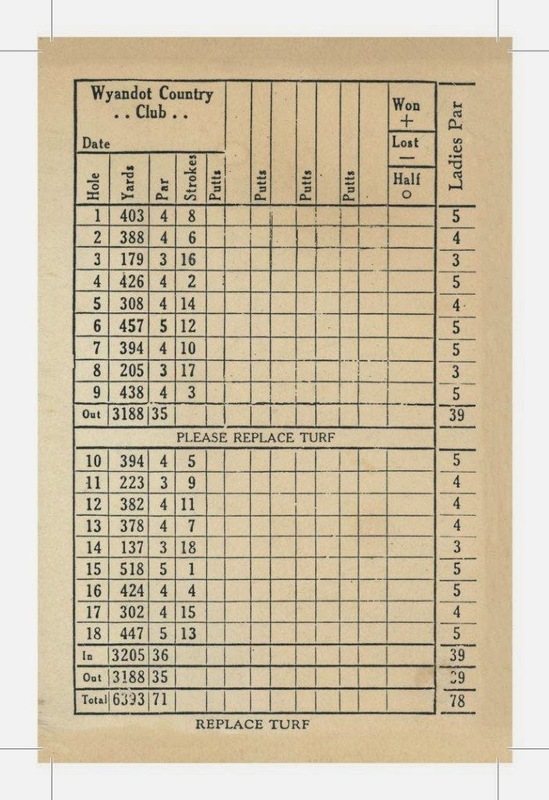 Accordingly, the map provides numbering of holes after the nines were flopped. Thus, number 10 on the map was originally hole number 1 (to minimize confusion with the map, I will reference its revised numbering of the holes). Holes 7 and 8 are located in the narrower southern corridor of the property that also contained the entrance driveway from Morse Road (then Rathbone Road). 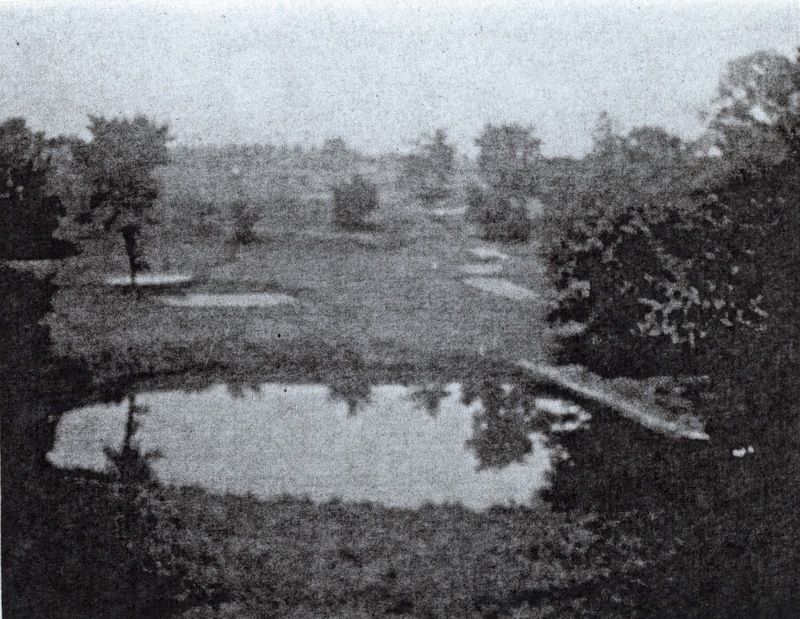 Holes 11 through 15 were located across the ravine in the general area of what became the Ohio State School for the Blind. placed skull- eating cross bunkers on these holes way short of the green to keep the player from being rewarded for a bad shot. Such cross-bunkers can be discerned on holes 7 and 17. The driveway (still in the same location now) accesses the property from Morse Road, then heads generally north before gradually winding its way easterly over to the clubhouse. The 10th hole (originally number 1 on The Elks' course) is routed at nearly a right angle. 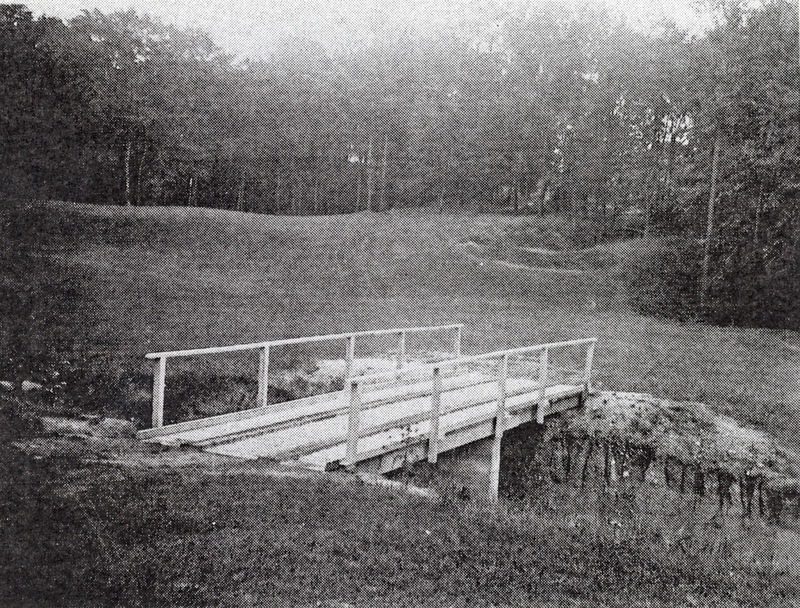 Brookside member Dwight Watkins, who caddied and played at Wyandot as a boy, remembers this severe dogleg hole fondly. 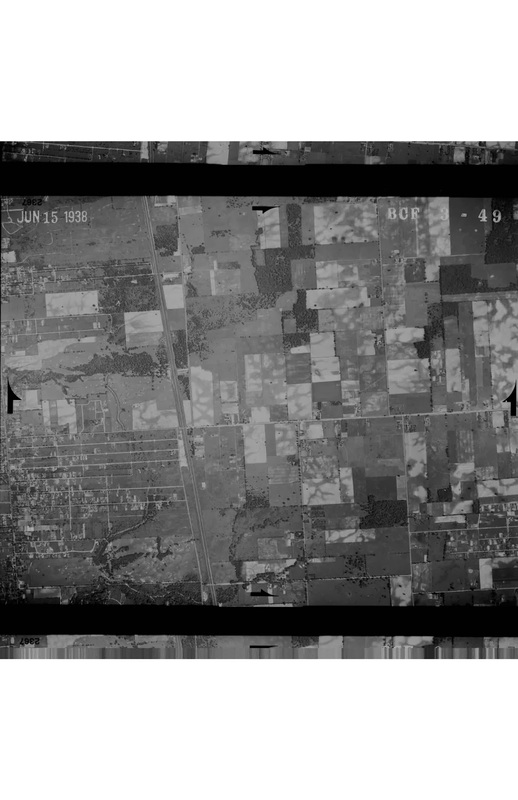 The current county auditor's map shows in white the entire 265 acres that John W. Kaufman bought for the Elks in 1921. 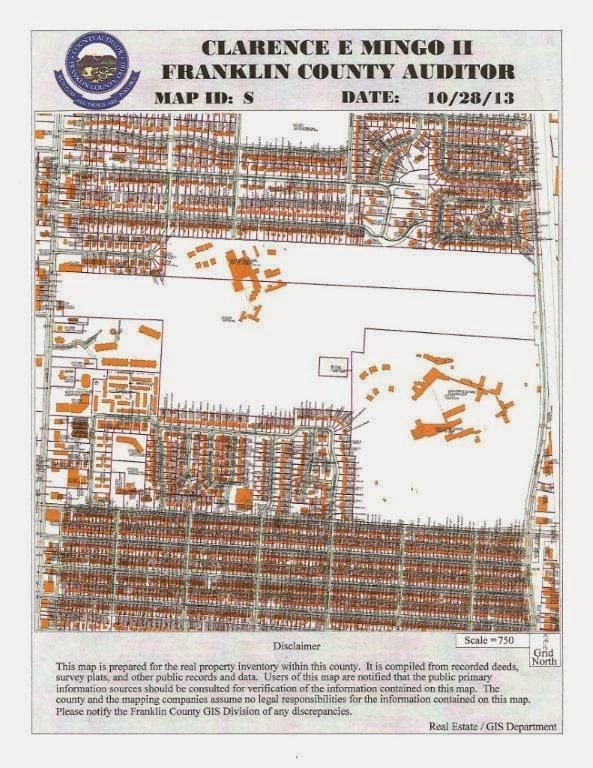 In this view, the shape of the old Kaufman holdings looks something like a snub-nosed gun. The buildings depicted on the lower right are those on the campus of the School for the Deaf. The upper left buildings are those of the School for the Blind. The driveway to that institution is accessed from High Street and comes down the short "barrel" of the gun. The Elks' members no doubt chuckled when they opened up June 26, 1927's Sunday Dispatch, and found cartoonist Dudley T. Fisher Jr.'s full-page "Skylarks" cartoon featuring the Elks' Country Club and poking some gentle fun at the membership. The cartoon is replete with "inside" humor, although a couple of the asides can be understood. One figure is identified as star player Denny Shute "looking over his mail." Shute was having a sensational 1927 golf season, and receiving plenty of press. Lawrence Huber- center of the drawing- is said to be "keeping his eye on the works," as a greenkeeper would be doing. The "locker room quartet's" singing (upper right) was a known hallmark of the club's social life. Fisher's depiction is invaluable in showing detail of the club's infrastructure, course, and surroundings. The clubhouse (top center), turreted outbuilding (top right), driveway, and holes 1, 7, 9, 10, 16, 17, and 18 (Wyandot holes 10, 16, 18, 1, 7, 8, and 9 respectively) are detailed. So are the adjacent farming operations and the CD & M interurban headed north (top right) . Lawrence Huber photographed the memorable 14th (5th after the revision). The 137 year par 3, (in contrast with the photo of the hole shown in Chapter 3 when the course was under construction) now has five bunkers ready to catch wayward shots both right and left. Acknowledgements: Bill Huber, Betty Huber (son and daughter-in- law respectively of greenkeeper Lawrence Huber), Ken Galloway, Gary Parsons, Franklin County Auditor, Dudley T. Fisher Jr. and "Skylarks" cartoon printed in Columbus Dispatch; Dwight Watkins; Donald Ross's book "Golf Has Never Failed Me" Sleeping Bear Press, (published 1996).